There are many factors that go into buying awnings for your home, and homeowners may have a few questions to ask before deciding. At Window Works, we consider all your questions and concerns so we can help you pick the perfect awning. If you’ve never purchased one before, here are a few key elements to review. Awnings have many more uses than most people think they do. 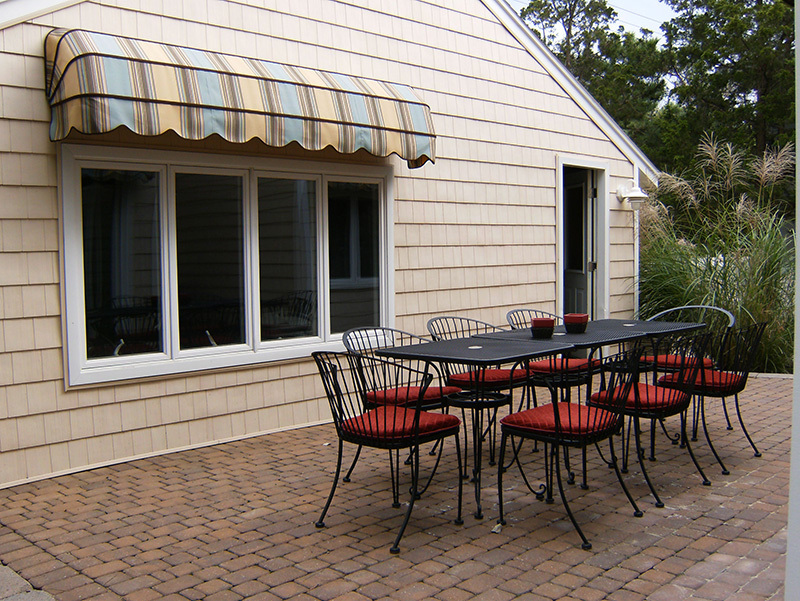 While normally associated with decks and patios, awnings are for windows, roofs, and doors, too. 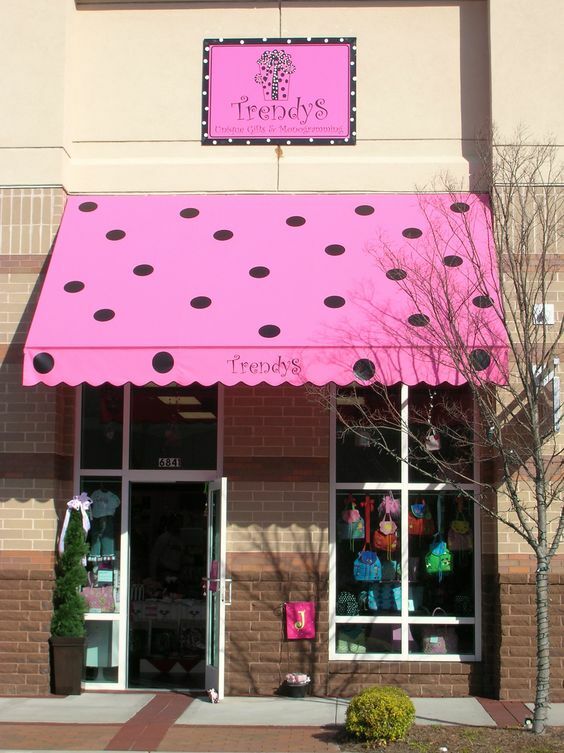 A colorful awning can help your business or home make an impression on guests. A dome or shed-style awning catches the eye with its unusual design; in fact, you can use several awnings in many different locations. When choosing an awning, consider your lifestyle and the area in which you live. If you have an active family and live in a hot climate, you might need a large, strong patio or deck awning. These can keep your deck areas stay cool and shaded on the hottest days so you don’t have to stay cooped up in your house. If you live in a rainy or windy area, you might choose a smaller awning equipped with nylon coating to protect it from rainfall, mold, and debris. Deciding between Retractable Awnings or Stationary Awnings is crucial. A retractable awning may be best if you spend a lot of time outside and are concerned about UV rays, glare from the sun, and other weather-related hazards. We recommend closing your awnings when not in use to protect the fabric. We offer Teflon-coated springs to keep the motor quiet and prevent rust, breaks, and other potential problems. Most of our awnings are large enough to shade over 400 square feet, which is ideal if you have a big pool or large patio area. Window Works’ retractable awnings come with many pitch options, so you can enclose or open whichever parts you like at any time. A stationary awning might be best if you have a small patio area or aren’t outside for long periods. With a stationary awning, you can determine ahead of time which areas need the most protection and mount them accordingly. Stationary awnings can be a stylish upgrade to any part of your home or business, whether it’s the door, windows, or roof. Your awning should be a feature that guests and clients remember. It should cause them to make positive associations about your home or business. With this in mind, think about the color, style, and material you want before purchasing an awning. Window Works offers lots of color options in both solids and patterns. We also have a variety of awning fabrics, all of which are resistant to weather, mold, mildew, and debris. When you consult us, we’ll help you choose the right fabric for your climate. CLICK HERE TO LEARN MORE ABOUT THE BENEFITS OF AWNINGS FOR YOUR HOME OR BUSINESS! Not many people would think about it, but you do need to consider what you will be using the awning for. As the article points out, one example might be if you have a large, active family. In that situation you would want a large, very open awning so that your family will be able to cool down under it once things get too hot. My husband and I are thinking about getting an awning for our deck and were looking into getting a motorized one but did not consider our home owner’s association. Thank you for mentioning this. We will be looking into this before we make a purchase.